Marco Silva has confirmed that Morgan Schneiderlin could return to the Everton squad for the clash against Watford at Goodison Park on Monday night. Schneiderlin, 29, has not made an appearance in a matchday squad since coming off the bench for the last minute of the 2-1 win at Leicester on October 6. However it looks as though the France international could recover from a leg injury in time to play against Silva’s former side Watford next week. “Injury news. Morgan Schneiderlin could be back in the squad for Monday. One or two small things from last night, but nothing serious,” said Silva on Thursday, as quoted by BBC Merseyside Sport’s official Twitter account. 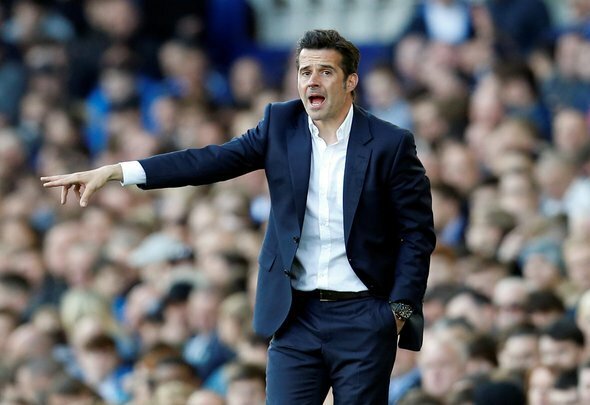 Having Schneiderlin available will be a boost for Everton going into the clash against Watford because Silva needs as many of his players fit and ready to play as possible going into the hectic festive schedule. Fixtures will come thick and fast over the next few weeks so it is vital that even an under-fire player like Schneiderlin is back in contention so that Silva can rotate his squad and keep things fresh. Andre Gomes and Idrissa Gueye have played a lot of football lately in the heart of the midfield and one, if not both, of them will need to be rested at some point. A player earning £120,000-a-week (Spotrac) like Schneiderlin is no use out of the squad. It is a waste of money and a drain on resources to have a player like that out of action. Even if the ex-Manchester United man does not have much of a future at Goodison Park, he will not be able to sell himself while sitting out of the squad entirely. This is good news for Everton.